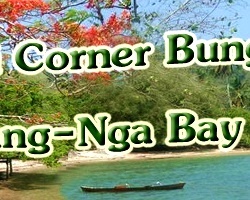 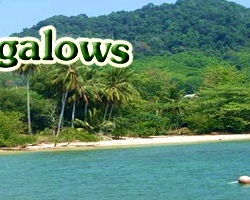 We have just 12 bungalows and small houses, scattered on a little hill, right by the sea, shaded by many trees . Every bungalow is different in shape and position, each one with its own style and character; each one has also got its own space and privacy. 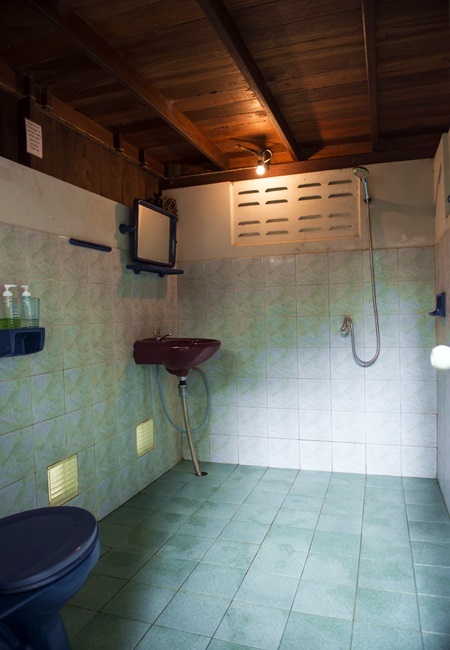 Amenities: toiletries, beach mat, rechargeable torch, free drinking water, towels. 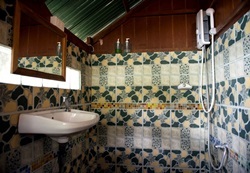 Brand new, this beautiful crafted wooden bungalow is only few meter's from the ocean: on 2 floors with 1 big bedroom with 1 king size bed and 1 smaller double bed on the first floor and a second bedroom with queen size bed on the second floor, fans and fridge, a big balcony as living room with rattan chairs and hammock, private bathroom with hot water shower. 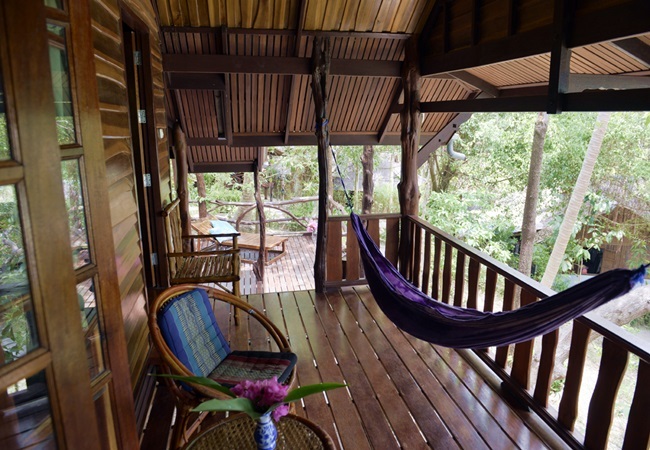 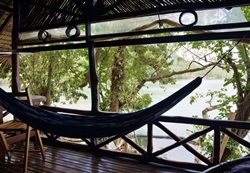 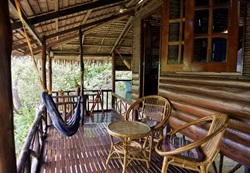 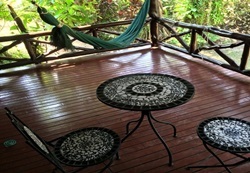 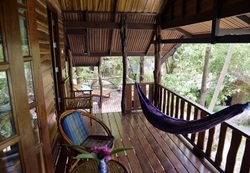 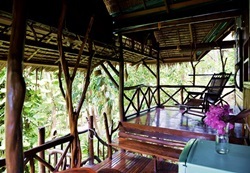 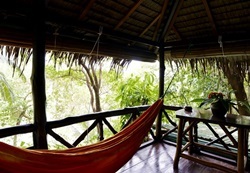 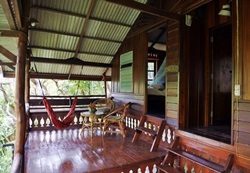 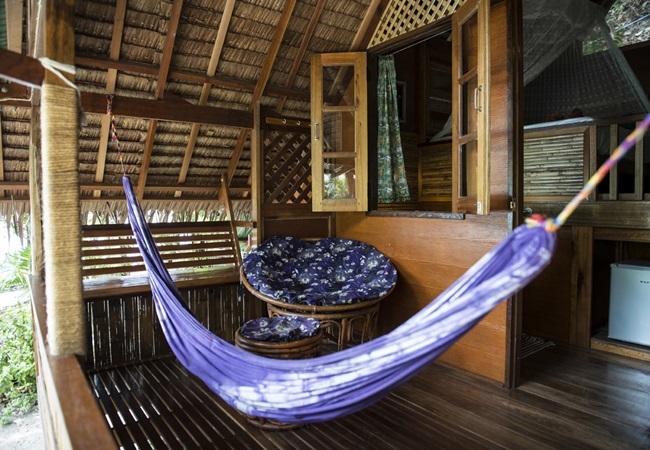 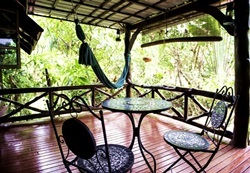 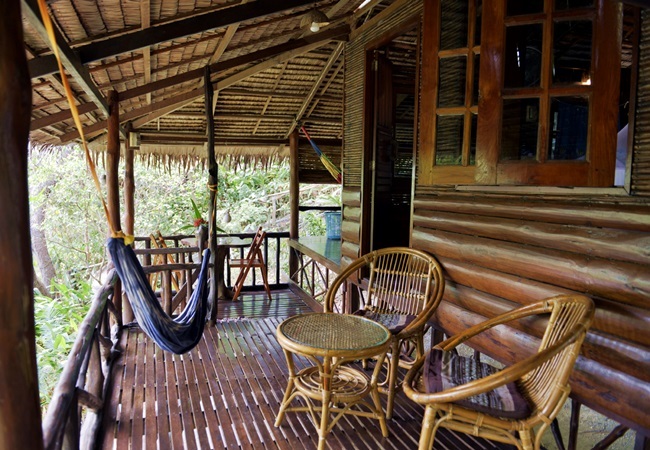 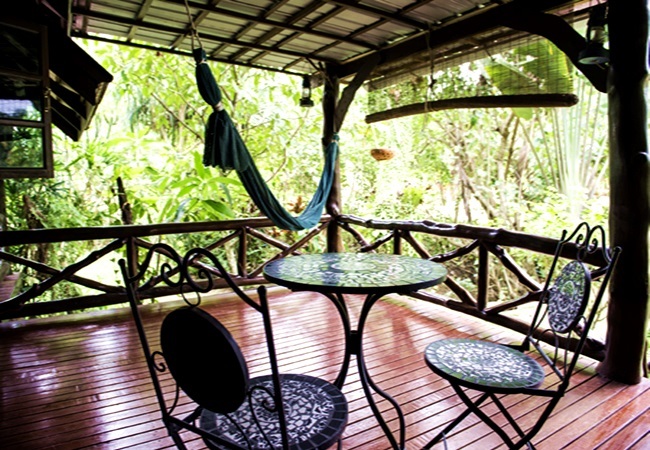 Shaded wooden balcony with hammocks and chairs, garden and jungle view. 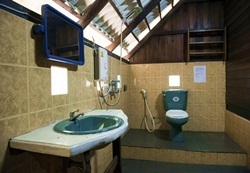 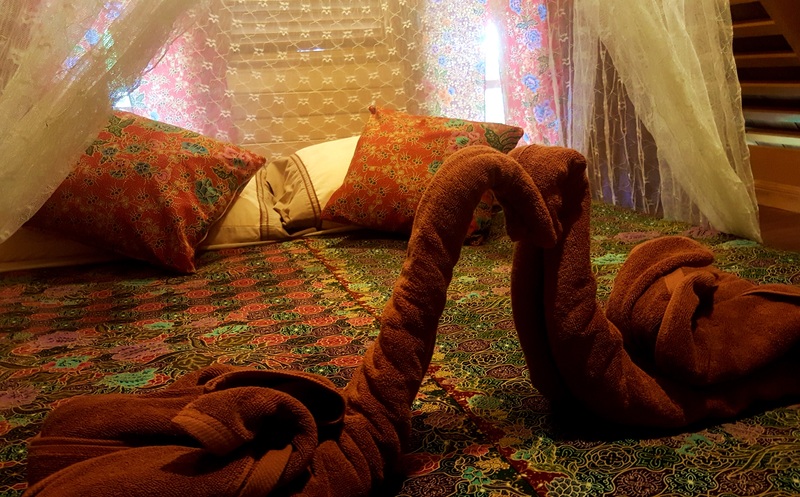 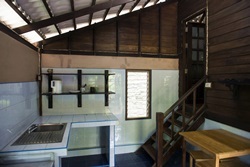 2 bedrooms with a double beds each, fan, private bathroom, balcony. 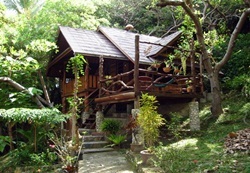 Furnished house available for rent by day or by week. 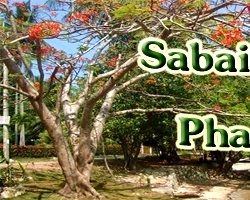 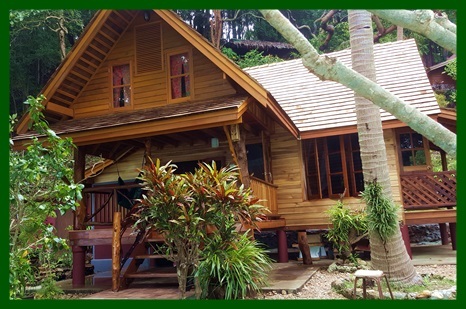 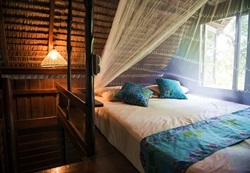 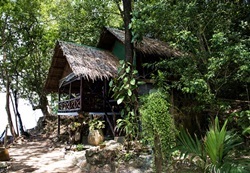 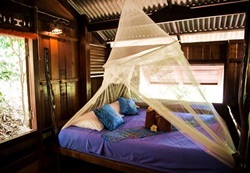 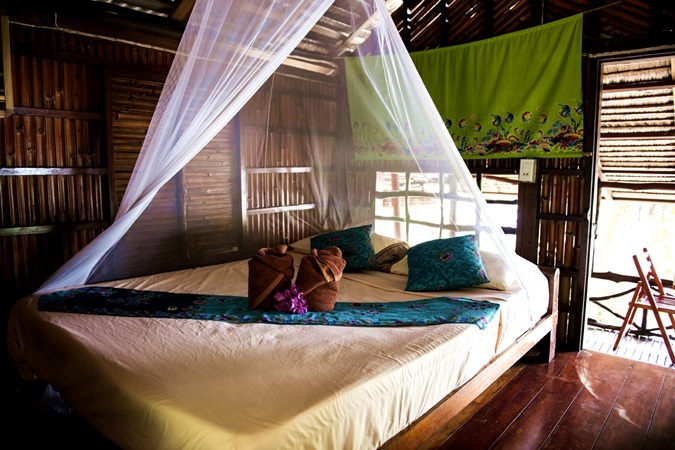 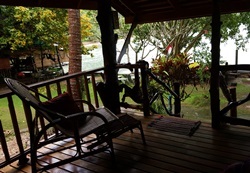 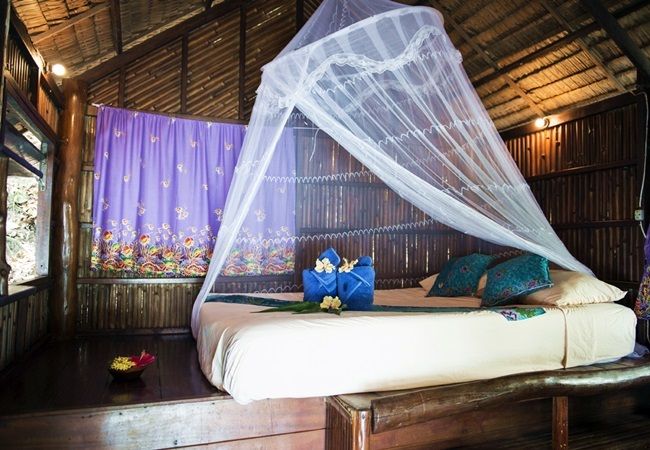 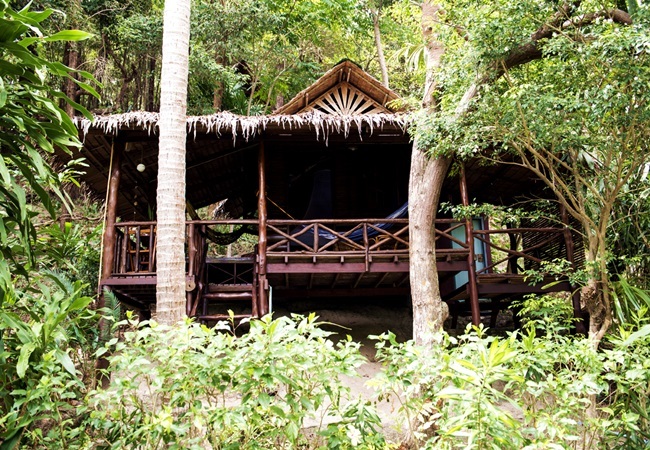 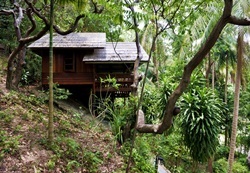 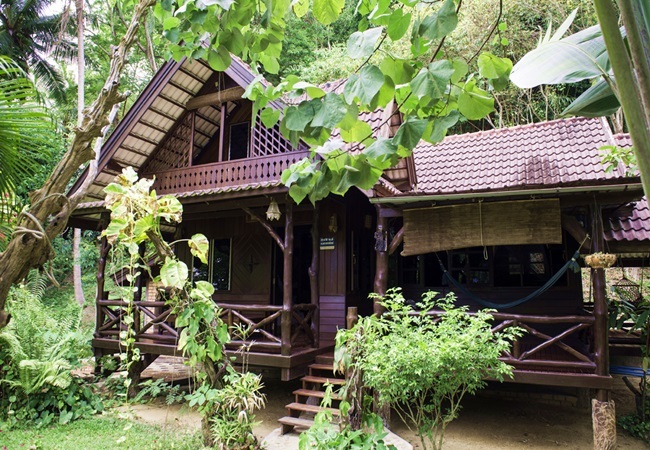 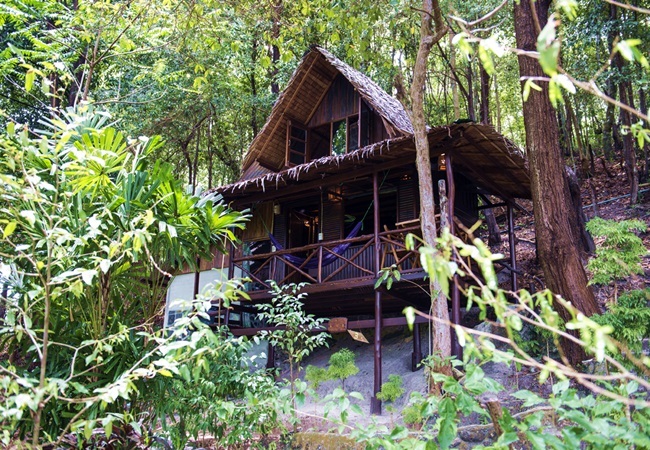 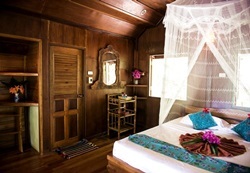 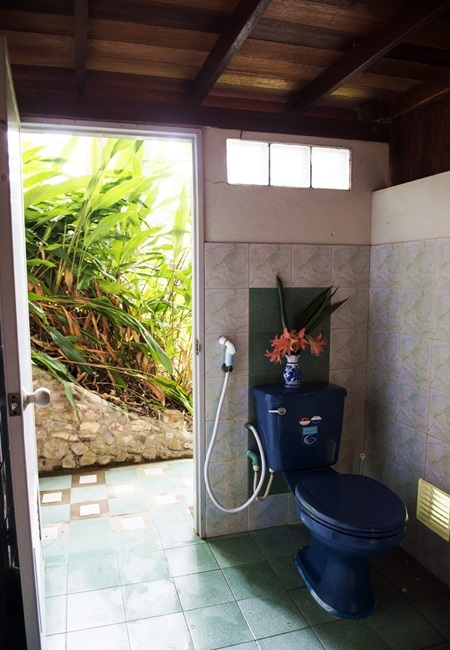 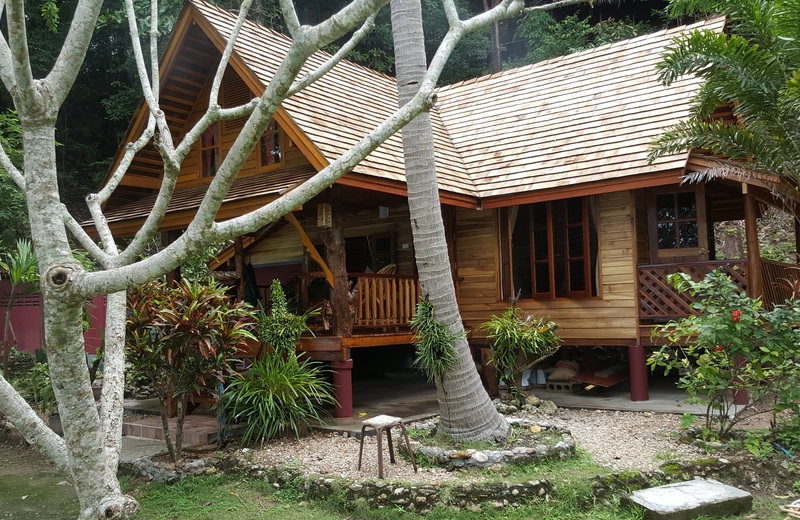 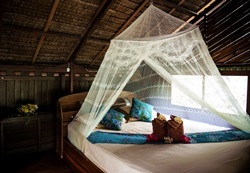 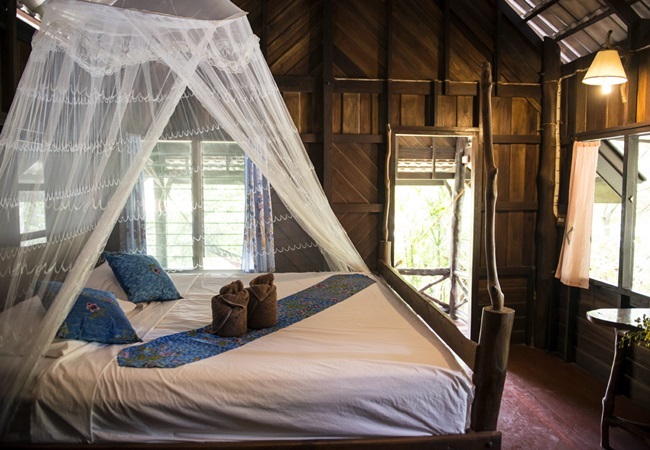 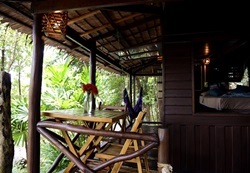 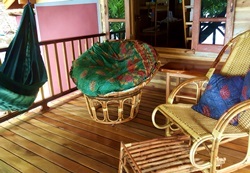 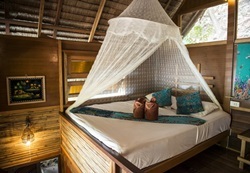 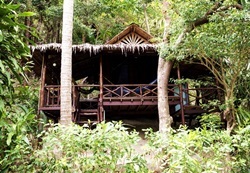 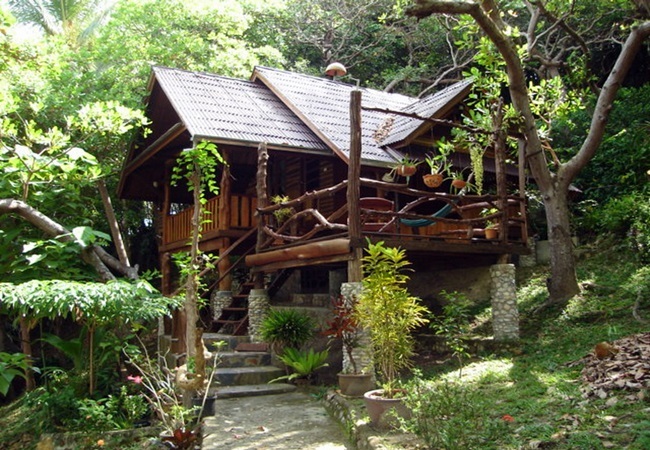 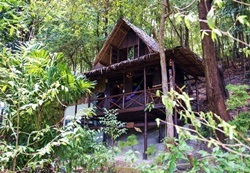 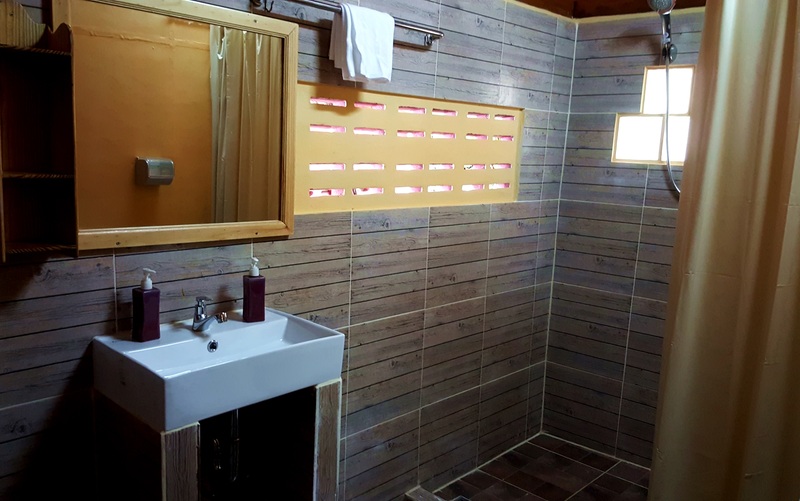 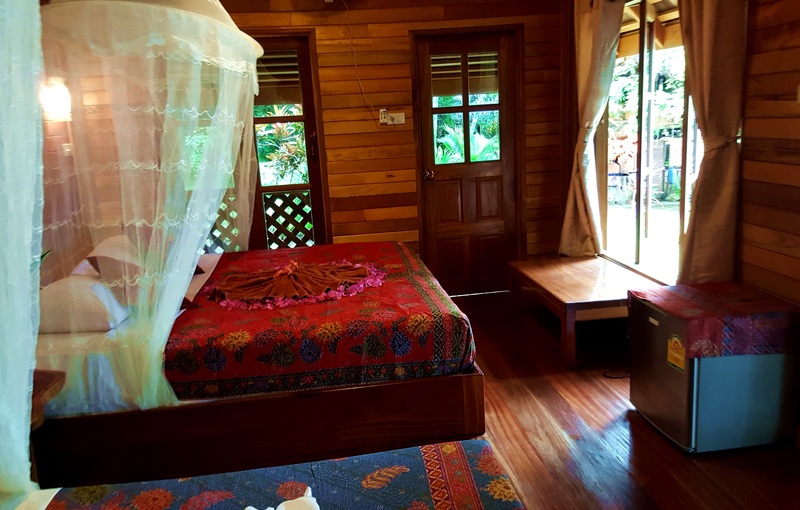 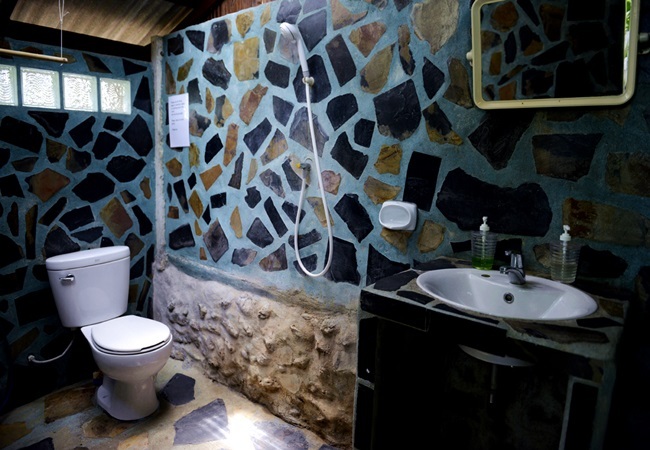 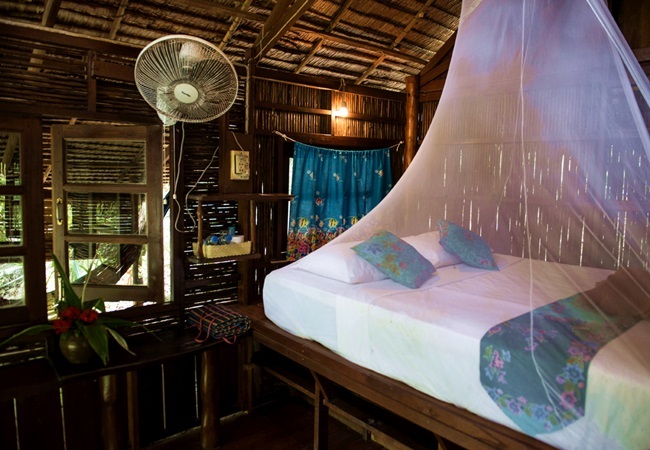 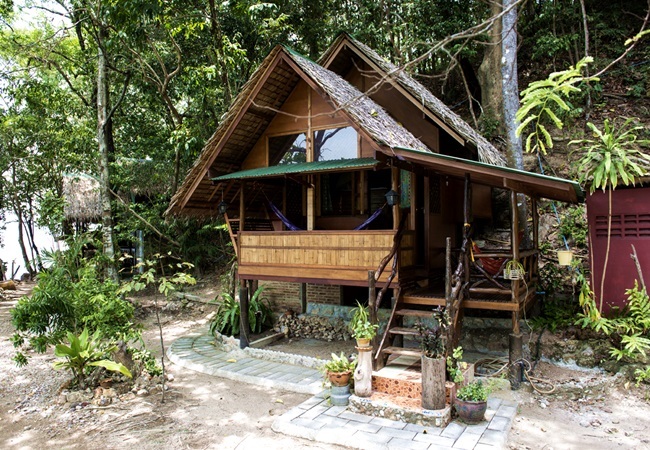 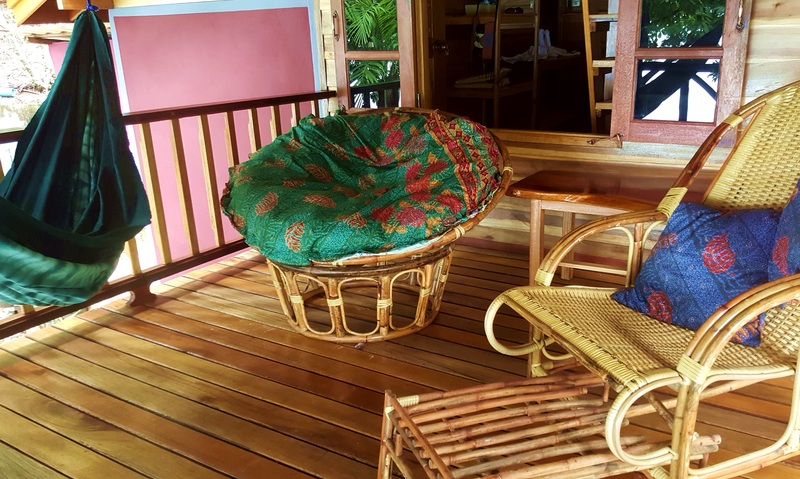 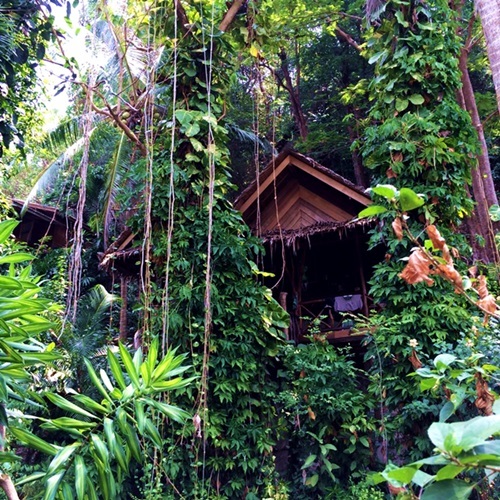 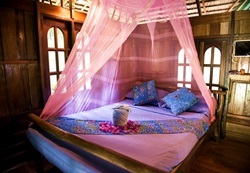 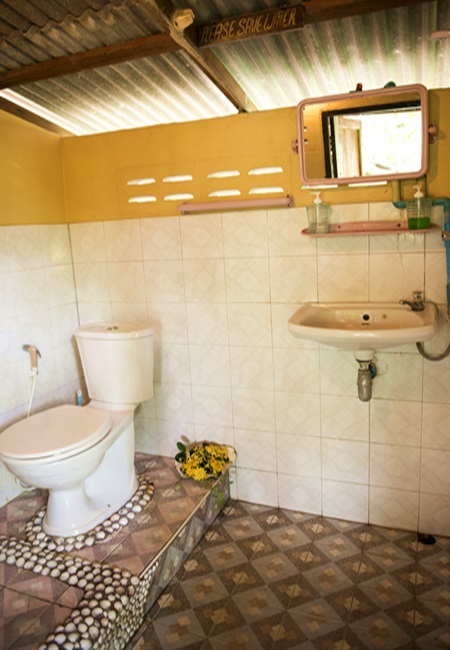 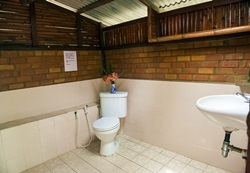 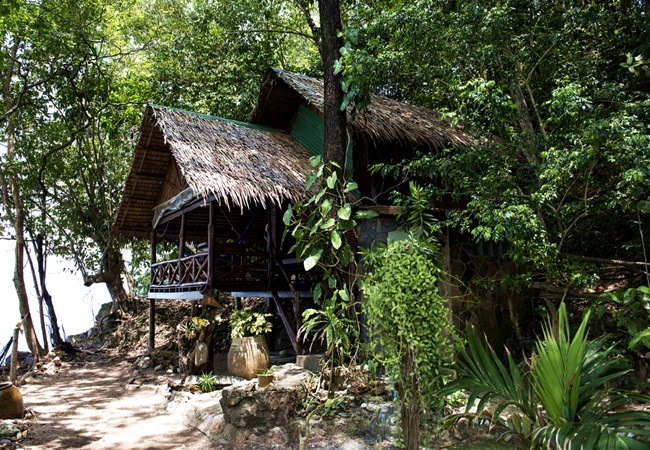 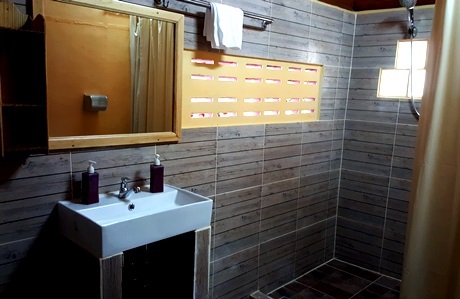 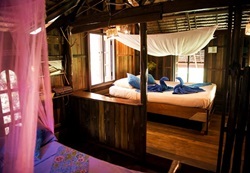 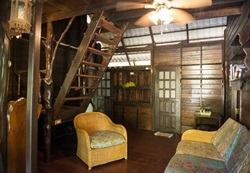 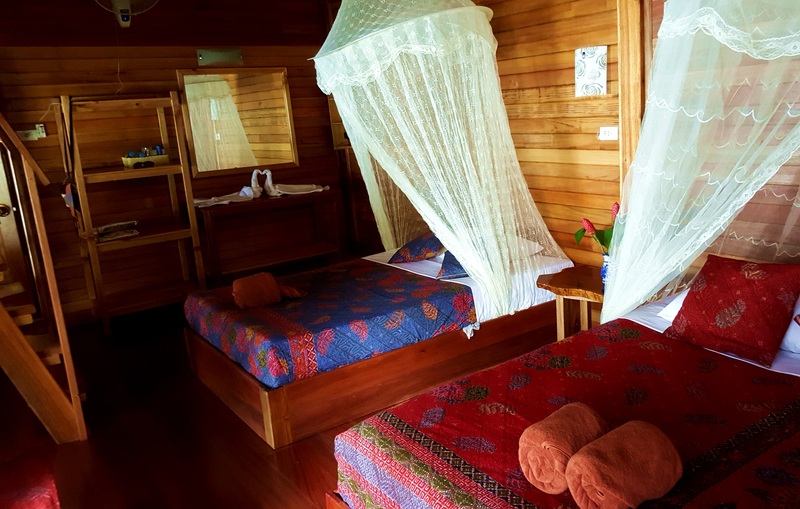 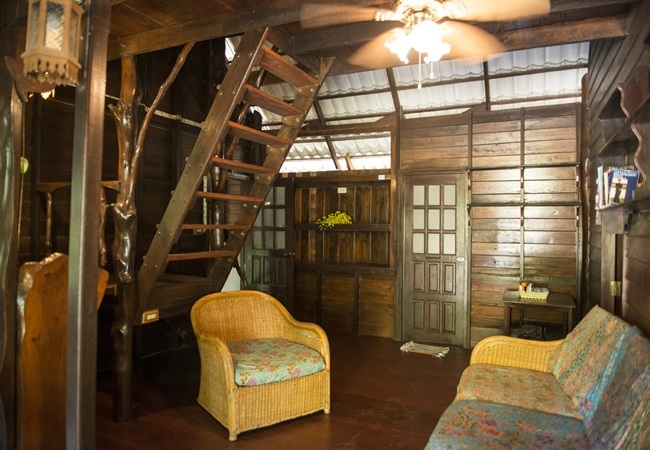 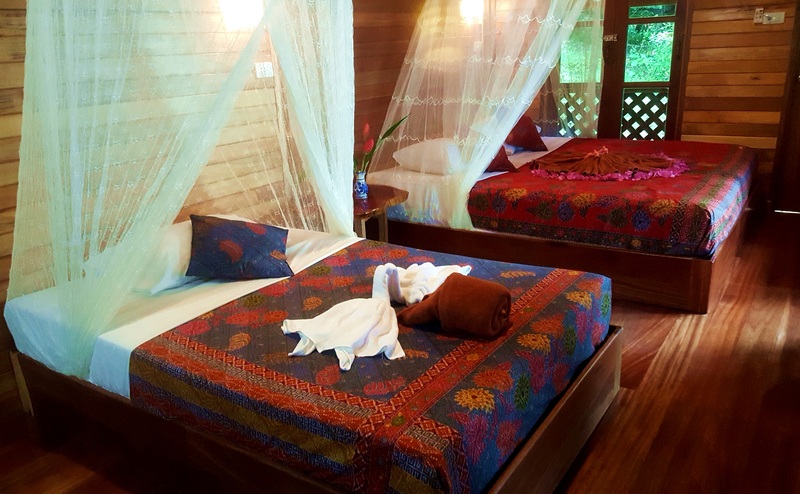 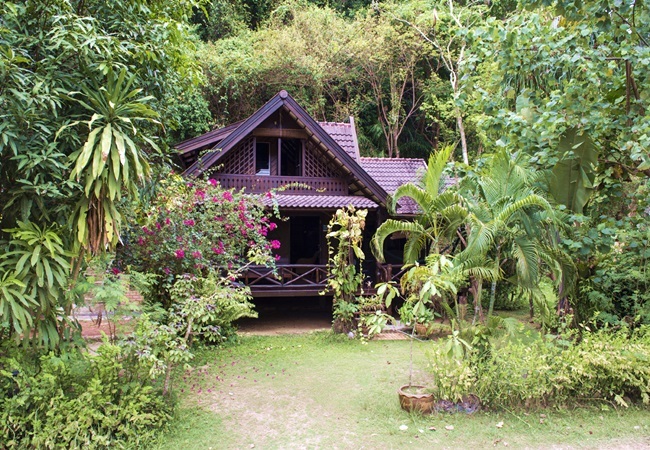 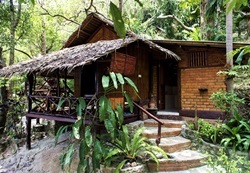 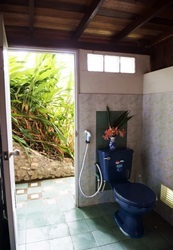 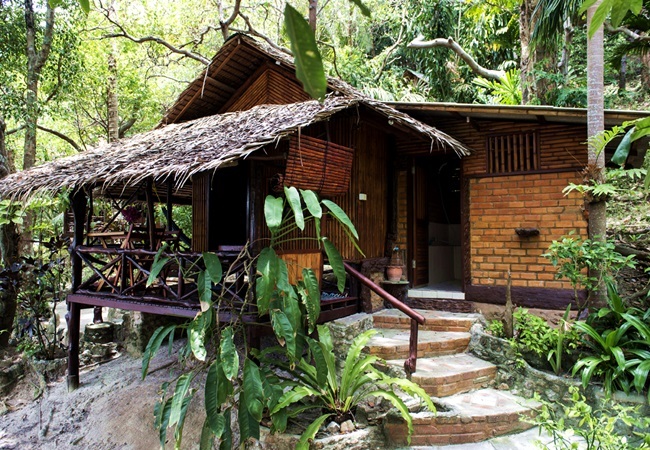 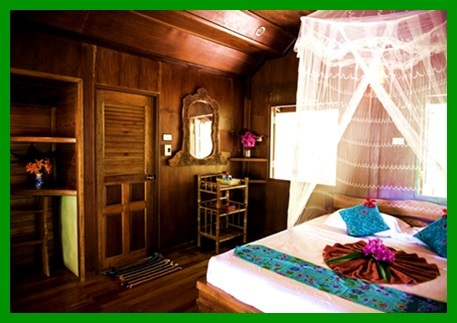 All our bungalows are built with wood and natural materials so as to blend with the surrounding environment.